Pleaser USA’s OFFICIAL size conversion guide. 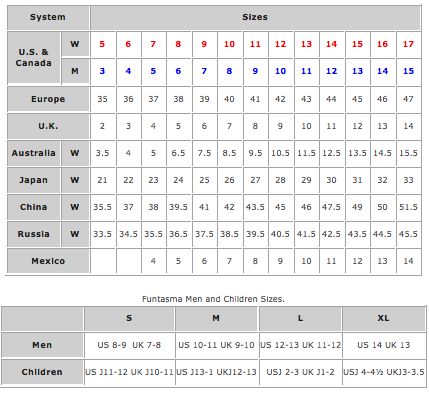 Please note that there is no universally accepted international conversion for shoe sizing. This size chart is intended for reference only. Sizes can vary between brands.